TO RESERVE: Choose either pickup or delivery, it does not matter, we know what you mean! For the event address use: 116 Park 42 Drive, Suite B, Locust Grove, GA 30248. Choose your timeframes and make sure your times match those for availability. If you want anything other than what is shown in the photos, please call us after placing your order so we can add it. EXAMPLE YOU WILL SEE THE TIMES ON THE LEFT ON THIS PAGE WHEN YOU CLICK CHECK AVAILABILITY IT WILL SHOW YOU THE SECOND SECTION. IF IT BRINGS YOU BACK TO THIS PAGE YOUR TIME IS NOT AVAILABLE AND YOU WILL HAVE TO CHOOSE A DIFFERENT TIME. 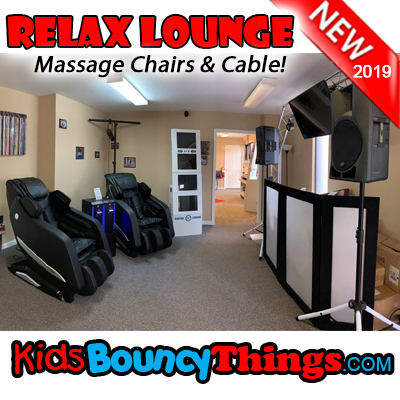 ***NEW 2019**** Relax Lounge!!! Need to have a party but the BIG game is on? Watch it in our relax room WHILE you are getting a massage!!! Check out the photos! What is included: DEPENDS ON WHAT YOU CHOOSE IN THE OPTIONS! - OPTIONS: 2-3 Inflatables(The inflatables shown are excellent for all ages and give everyone something to do!) Inflatables can be swapped for different items. Or room just rented as a party room with tables and chairs for certain time frames. GRADUATION, RECEPTIONS, ENDLESS POSSIBILITIES! 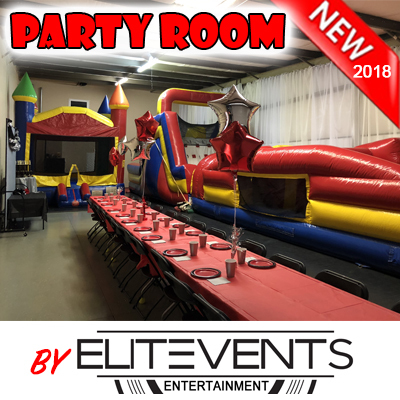 IF you would like to book the party room for anything other than a regular party with inflatables, we recommend you call us for a more personalized booking experience! Available weekdays upon request - WITH PRE APPROVAL! PLEASE CALL FOR WEEKDAY AVAILABILITY!! You, the renter, are responsible for monitoring the children. The party attendant is only onsite to help with cleanup and maintenance. Please arrive at least 20 minutes early for check-in. Each party guest, with children must sign a waiver. We do have a freezer available for ice cream and ice. 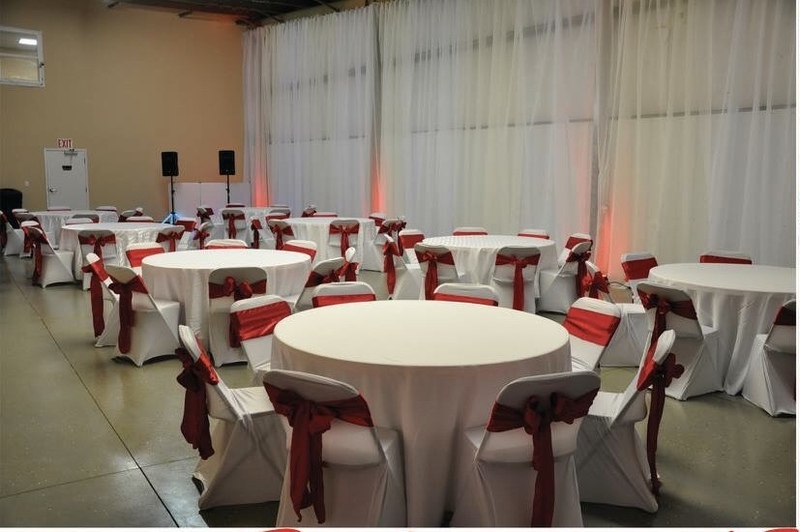 This room is provided by Elite Events Entertainment. 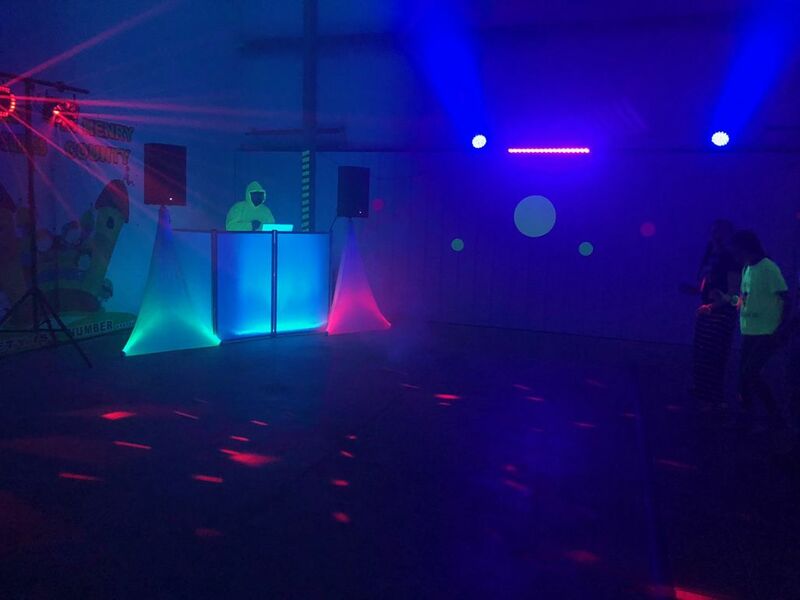 All services are provided by them, we just provide the inflatables and help with the booking process. Any questions we can answer. 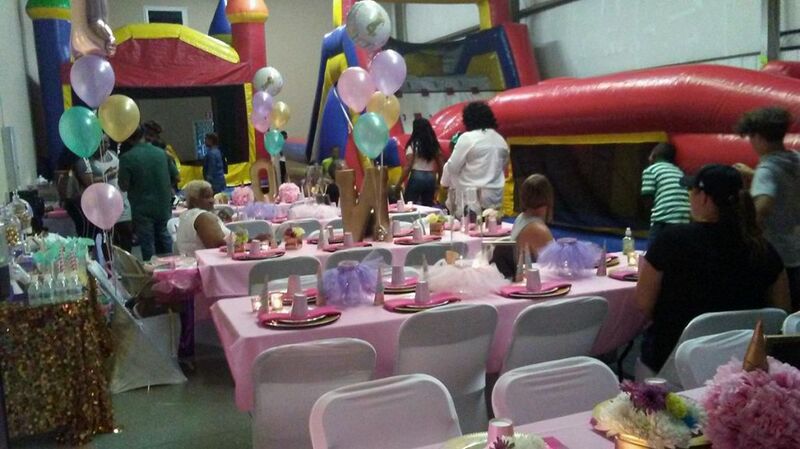 Kids Bouncy Things LLC only insures the inflatables and not the room. Everything is play at your own risk. Any guest whom does not agree to our terms and conditions and sign the waiver, will not be allowed to enter the building. This is for your safety and ours. NOTE: ANY RENTAL SWAPPED TO THE PARTY ROOM, FOR A PICKUP OR DELIVERY CUSTOMER, DUE TO WEATHER, THESE RULES APPLY: ORIGINAL RENTAL PRICE IS UNDER $214, YOU PAY THE DIFFERENCE TO MOVE TO THE PARTY ROOM. IF YOUR RENTAL IS OVER THE $214 PRICE, THERE IS NO DISCOUNT. THE PARTY ROOM IS $1000 VALUE! 3 Inflatables, 1 Bounce, 1 Obstacle, & 1 Slide! Something fun for everyone! ONLY Tables & Chairs up to 50 people. No Inflatables! Tables and seating for up to 25 Guests. I choose tables and chairs or empty room in option 1. I WANT TO DO A PAINT PARTY! CALL US FOR PRICING!! !